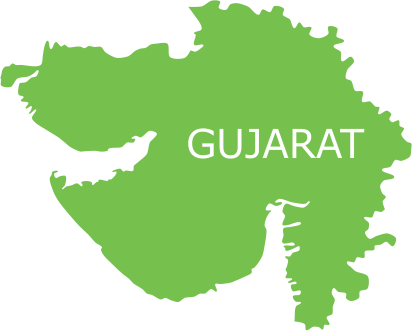 The capital city of Gujarat – Ahmedabad has approximately 2500 slums, housing around 1.5 million people. Although the city has a good network of public and private healthcare facilities, challenges still remains in addressing the growing demands of health needs from a heterogeneous group of people. The most poorly served are those who live in slums. The growing influx of migrants into the slums of the city has added to the demands on the limited health facilities, leading to further worsening of the status of health in the city. Majority of the population living in the urban slums are involved in construction work, vegetable vending, rag picking, factory jobs etc. With an average annual income that is too low, these families hesitate to save for or make health expenditures. Illiteracy, lack of health-seeking behaviour, unhygienic living conditions, etc. are some of the reasons of the increase in many preventable diseases in these areas. 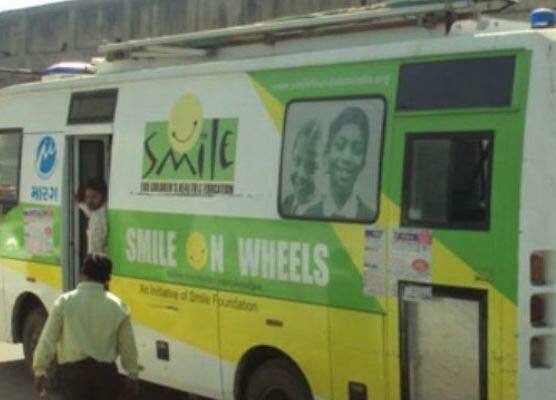 In order to take care of the healthcare needs of the underprivileged population, Smile Foundation intervened and launched a Smile on Wheels project in Ahmedabad. The project being implemented was initiated in 2013 in partnership with Rotary Club of Ahmedabad Airport Charitable Trust. The objective of the project is to provide comprehensive mobile health care services to underprivileged community in Ahmedabad’s urban slums with special focus on women and children. Through a well-structured service delivery system, the Smile on Wheels is committed to provide promotive, preventive and curative health services to the beneficiaries. On a regular basis, awareness sessions on preventable diseases like TB, HIV, RTI/ STI, and also basic health & hygiene are being conducted in different locations. The mobile hospital is staffed with a qualified doctor, nurse, lab technician, pharmacist, community mobilizer and project coordinator. Besides medical consultation and diagnosis, the people are also provided with free of cost medicines and lab testing facilities. Emphasis is given to preventive and promotive measures, to cultivate a health-seeking behaviour in the community. A total of approximately 16,000 beneficiaries are being reached per year through organizing Promotive, Preventive and Curative services through qualified health professionals. Awareness on hygiene & sanitation, breast feeding, family planning methods, nutrition and balanced diet among children & women, counselling support to individuals and families are conducted on regular basis in the target areas. With special focus on women and mothers, immunization - mother & child, antenatal and postnatal services, growth monitoring, distribution of iron, folic acid and calcium tablets, and supply of nutrition supplements are conducted. OPD services for common diseases/illnesses including communicable diseases, ENT, dental, ophthalmic, etc. are conducted. In the Smile on Wheels, minor surgery/dressing of wounds, and basic pathological services (Blood, Urine, etc.) are carried out.